Wow! 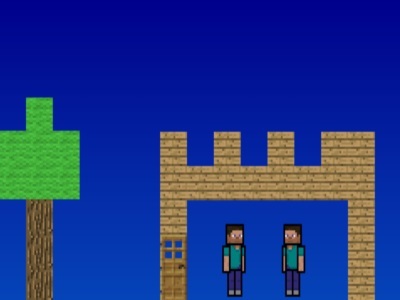 You have successfully found a chance to build your favorite Minecraft scene in Minecraft Scene Creator 2. On the left of the screen, there are characters (i.e. Steve, skeletons, zombies, creepers) and materials (e.g. TNT, crafting boxes, doors, trees, coals, soil) from Minecraft world. Interestingly, the main character Steve is doing different actions like walking or using a sword and in different moods such as being angry or calm. The main issue left here is your imagination ability. What is in your head when you think about the vast Minecraft? Show us how your scene looks like! Use the mouse to drag the items to the working area.